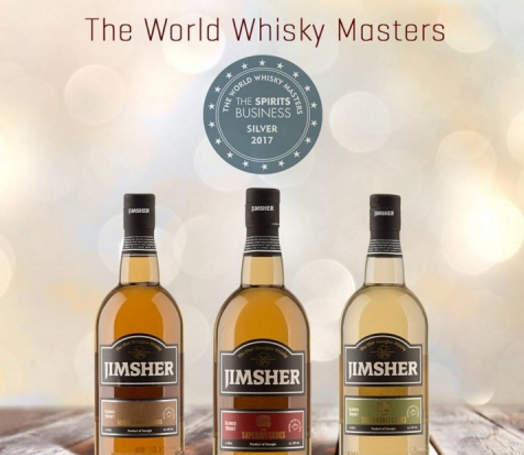 Jimsher Whisky is a new brand created by Jimsher Chkhaidze who heads Askaneli Brothers winemaking company. It claims to be prepared with unique method with its second stage of aging in casks, where traditional Georgian brandy was previously kept, the method which is said to bring a unique aroma and taste “making you to re-discover whisky with a Georgian accent.” Read also Georgia to produce whiskey. Launched in 2008, The Global Spirits Masters is divided into 15 separate competitions to ensure each spirit category is given the attention by specialized judges. It includes The World Whisky Masters, as well as the Scotch Whisky Masters, The American Whiskey Masters, The Irish Whiskey Masters, The Gin Masters, The Cognac Masters, The Brandy Masters, etc.